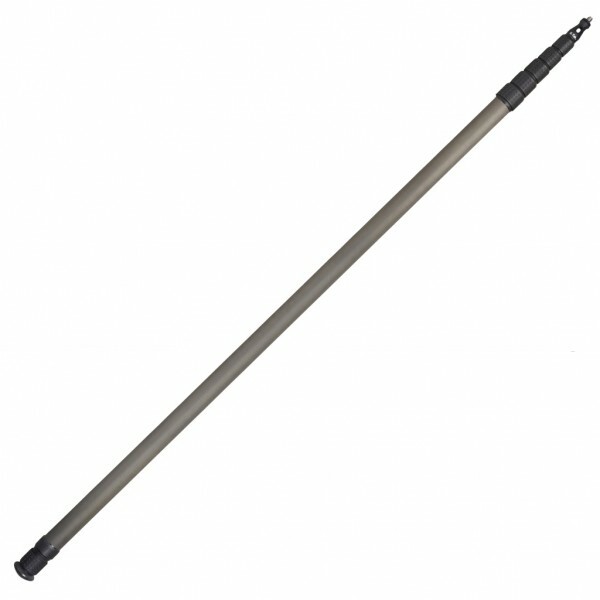 Product information "K-Tek Klassic Traveler Graphite Boom Pole K123"
This K123 Traveler Klassic Boom Pole has a collapsed length of 2’6″ | 76cm and an extended length of 10’3″ | 331cm and only weighs 1.3lbs | 581g. This 6-section Traveler Boompole is uncabled. The top attachment is a 3/8″ – 16 male thread and the bottom attachment is a Collar with Rubber bottom. Related links to "K-Tek Klassic Traveler Graphite Boom Pole K123"
Customer evaluation for "K-Tek Klassic Traveler Graphite Boom Pole K123"